Hi! 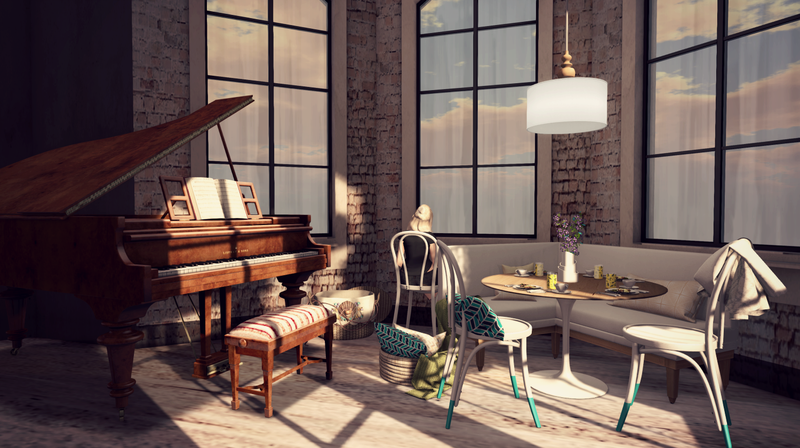 If you haven’t been to Fameshed yet, you should definitely head over there. 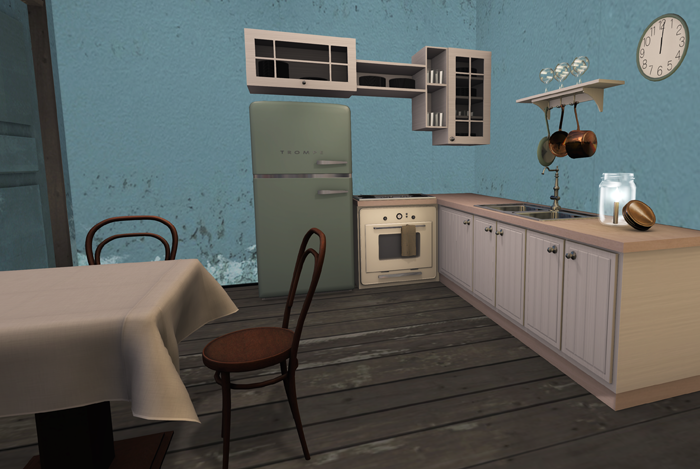 Consignment has a brand new furniture set (as shown above) and the textures on it are amazing! I hope he makes more textures in the future. Please, Wavie? 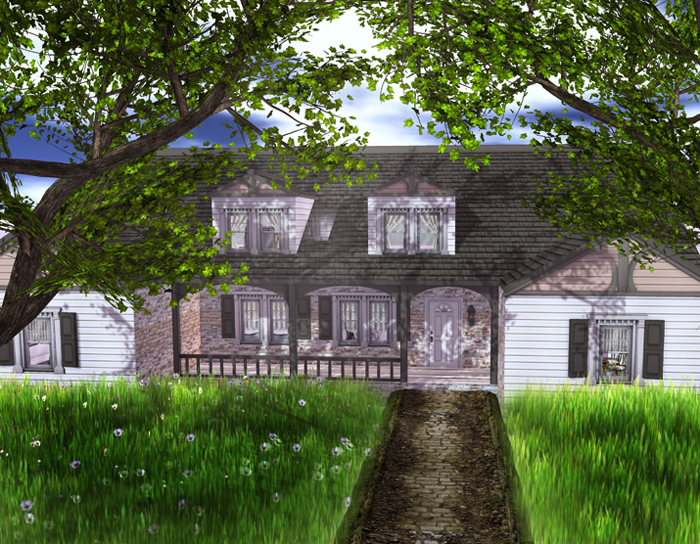 Another thing that you can find at Fameshed this month is this little retreat from Junk. The blue wall that I have in there is not part of it but I wanted to fit something in to put the posters up, instead the Junk one has bars which are very cool too. I can easily see making a little house out of this. The picture doesn’t do this justice, it’s a lovely little retreat. Have a happy Saturday! Collabor88! has been open for a few days now with a lovely Tim Burtonesque theme! Such a cool theme really with many things that have made me smile. Right now might be a good time to go as well. 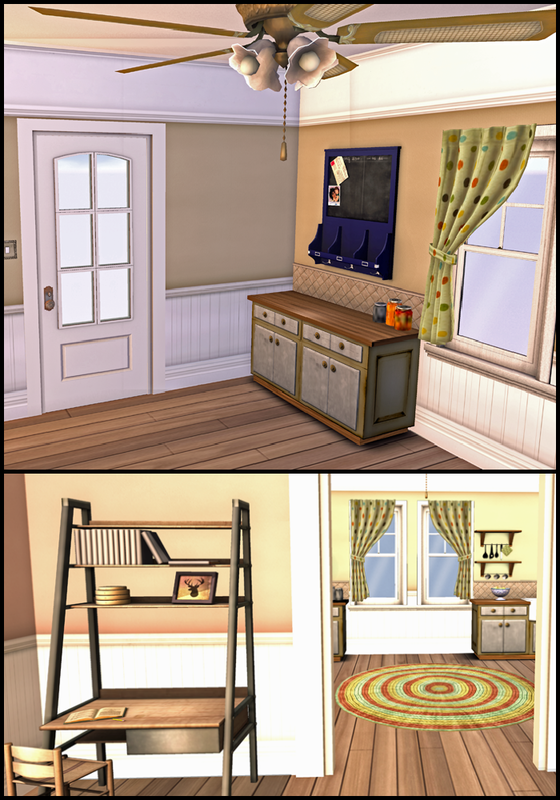 Just a post to show some of the pretty furniture that is currently available at Collabor88 right now. Collabor88 gets back to business for March. I do enjoy this theme. 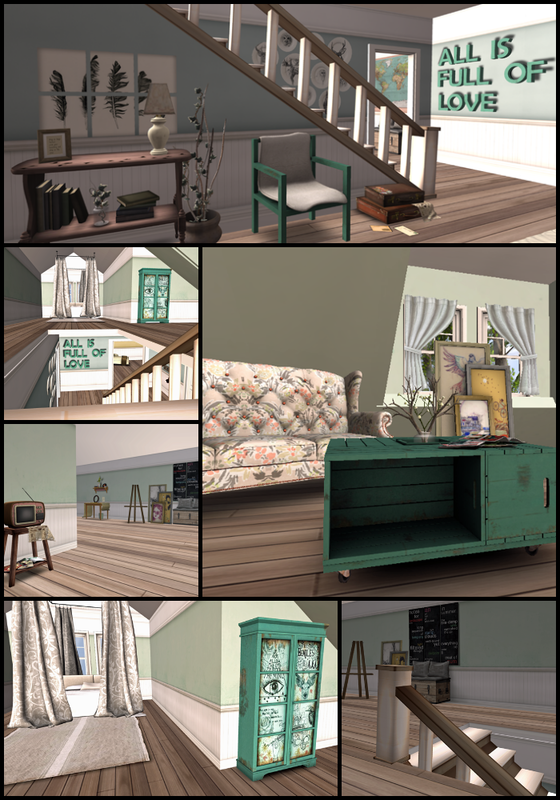 In the photo above I have various furniture items from Collabor88 (which opened today) this month from Lisp Bazaar, Intrigue, Kuro and Half Deer. The furniture this month is great especially if you are in need of a new desk. The cleaning supplies in these photos are from What Next from their Spring Cleaning set and my maid outfit is also from the Arcade and super hard to get from B.C.C. When you win this prize make sure you read the note card! You actually have to wear the tray and redeem it at B.C.C.’s main store. These poses that I’m using are from Flowey which you can find in a pack called Lookbook 2. There are three packs of poses in total and they are all really good, also a steal at the price. I’m also wearing hair from Wasabi Pills at WCF. SHoes, socks and collar from the Sugar Garden and skin from Glam Affair that you can get at the Arcade. The computer on the desk is from Bazar. Every so often a skybox will inspire me to make a little hide-away from the world. 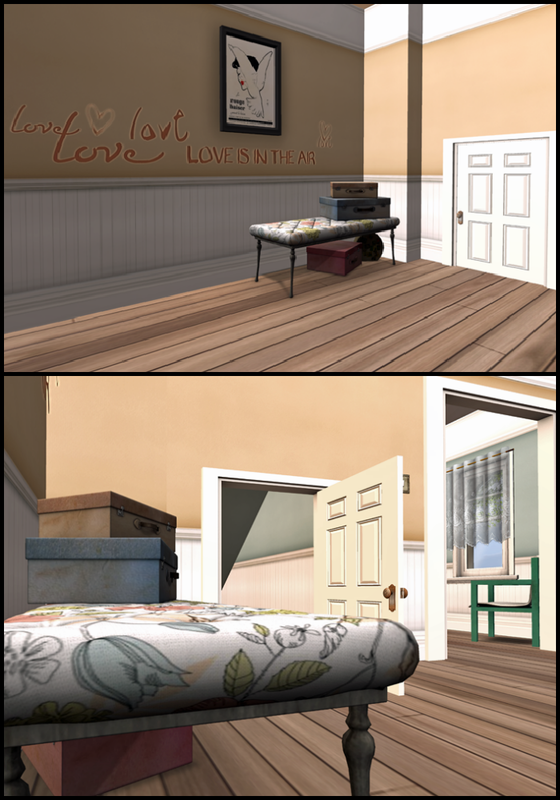 Vespertine made just that skybox for Fifty Linden Friday and I put a bunch of my favorite things in it and made a cozy little spot for snuggles. Aren’t they cute? Posing in front of this What Next Ice cream cart is my God Daughter Evie and her brother Alex. I saw them in their outfits and immediately thought of this ice cream cart and I had to snap a pic. They are the cutest! Amaliscious Destiny of .Happy Homes. has released a new and adorable three bedroom family home. 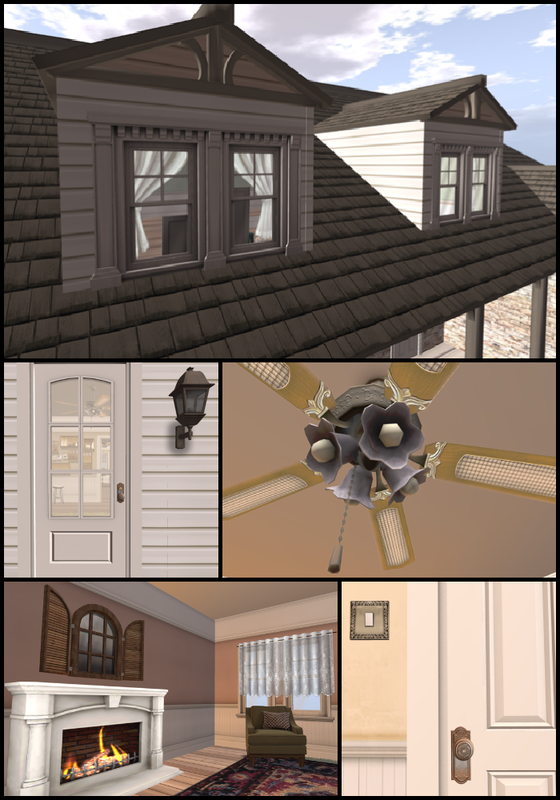 The house does contain mesh and it is only 165 prims. 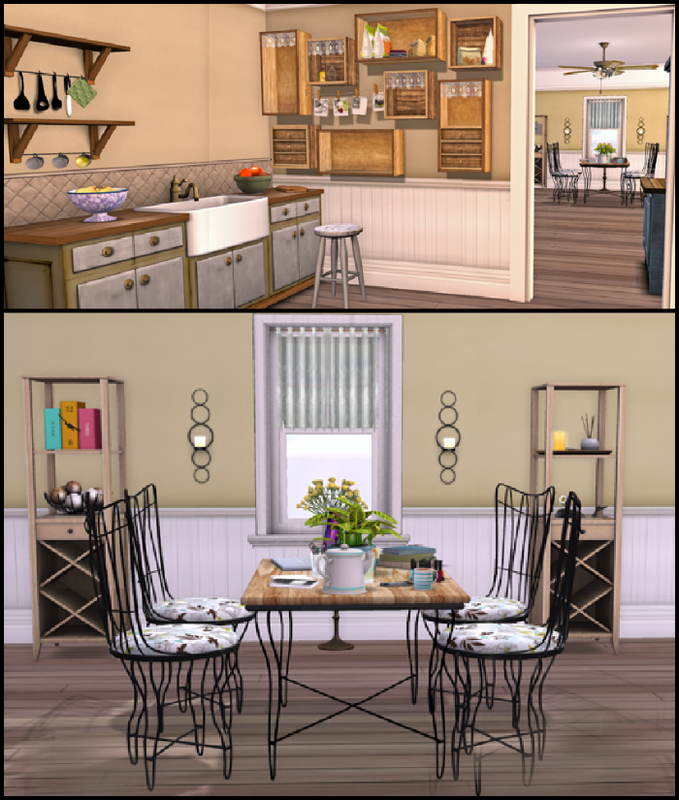 You can visit the Sofia Cottage here in world to see for yourself but I find that with it’s unique floor plan and spacious rooms that this house is perfect for a family or perhaps for a couple that would like a few extra guest bedrooms. The house has a laundry area, bathroom, living room, family room or study, three bedrooms, dining room and the exterior is very charming. You can copy and mod the house as well. I tried to include several photos to give some decorating ideas and used pieces from The Loft, Lisp, Pilot, Mudhoney, LAQ Decor, Bazar, Noble home furnishings, and Alouette are some of the places that I enjoy shopping at that I put pieces here and there in the house. This home has much potential for cuteness though, so if you are in the market for a new home or just enjoy collecting houses like I do, this could be the perfect house for you! 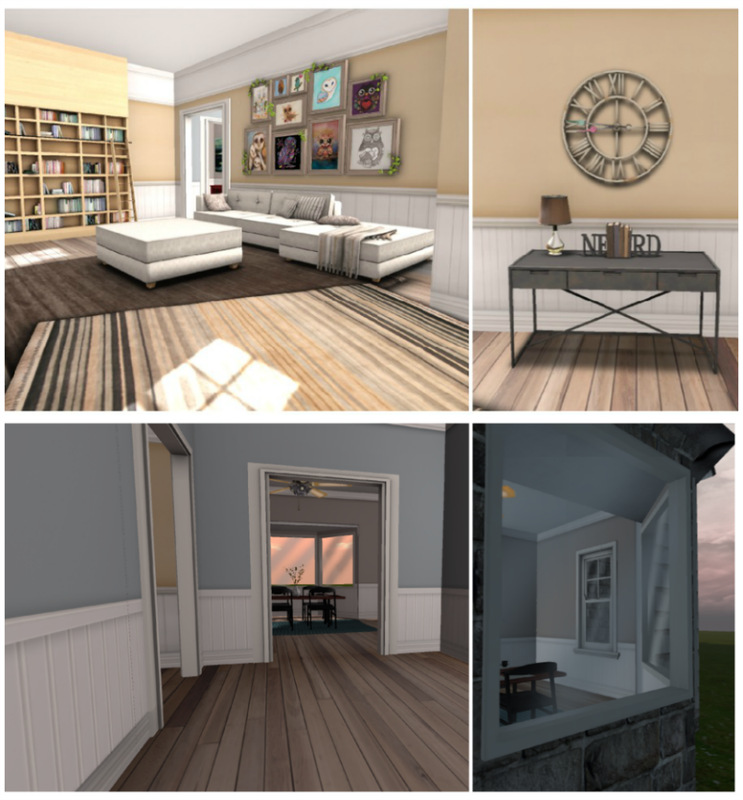 This month Collabor88 has gone “Kitsch” with a color palate that is perfect to chase away those winter drabs! I found a lot of cute in this round and sort of mashed it all together in the photo above. The couch and face vases are from Pilot. The couch comes as either adult or pg and has many cute couple animations. The table and prints are part of the offering from Lisp Bazaar and the crazy colorful cats are from Intrigue, all which can be gotten under one roof at Collabor88! 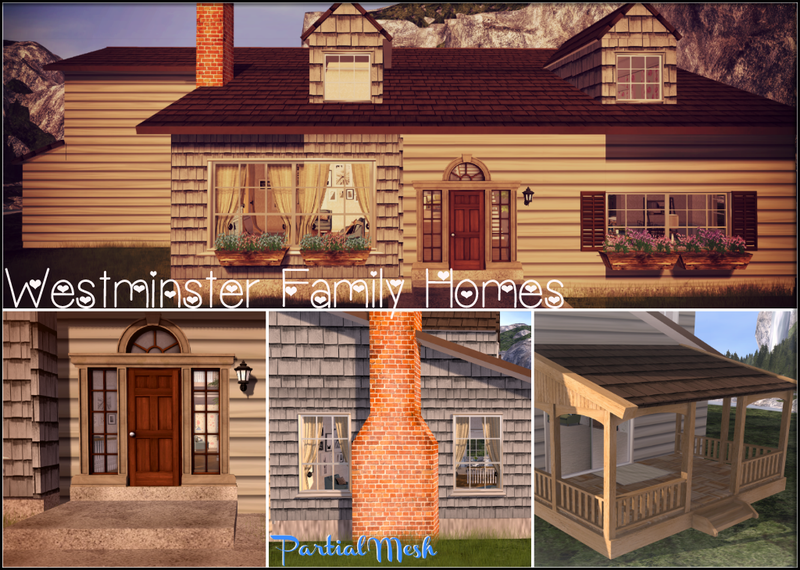 A friend of mine, KateMarie Westminster has opened a new store on the marketplace for her store Westminster Family Homes in hopes of making many homes in SL especially for families. 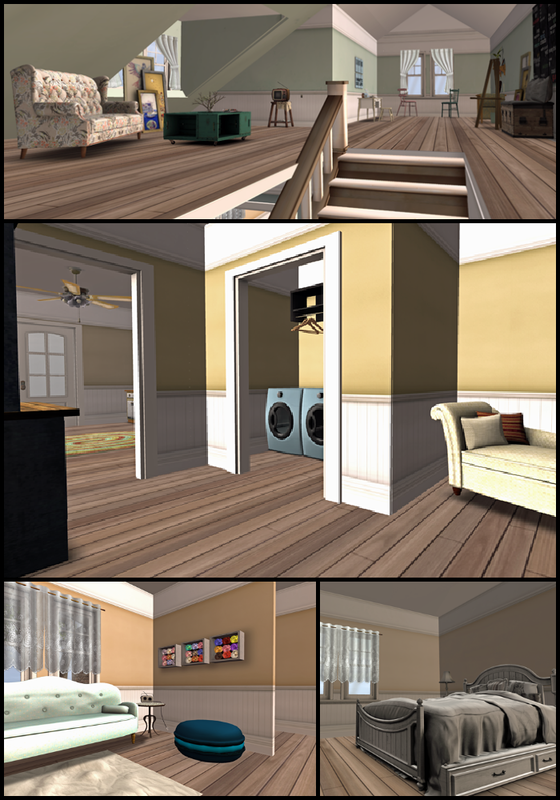 Her builds are low in prim, this is a five bedroom home with only 225 prims and it partially mesh for only 555L on promo. It’s a steal! I decorated it a bit and used furniture that you can get from Lisp, Apple Fall, Cheeky Pea, Pilot, the Loft and What Next. It is very cute and I know that she has another really cute house coming out soon. .Happy Homes. a new venture by Amaliscious Destiny or Eve Daines, of La’Licious Designs has released (currently only to the Marketplace but either is able to show homes inworld until they have an in world rezzer for homes) this two bedroom, well three if you count the large attic (which I used as a bedroom) home. 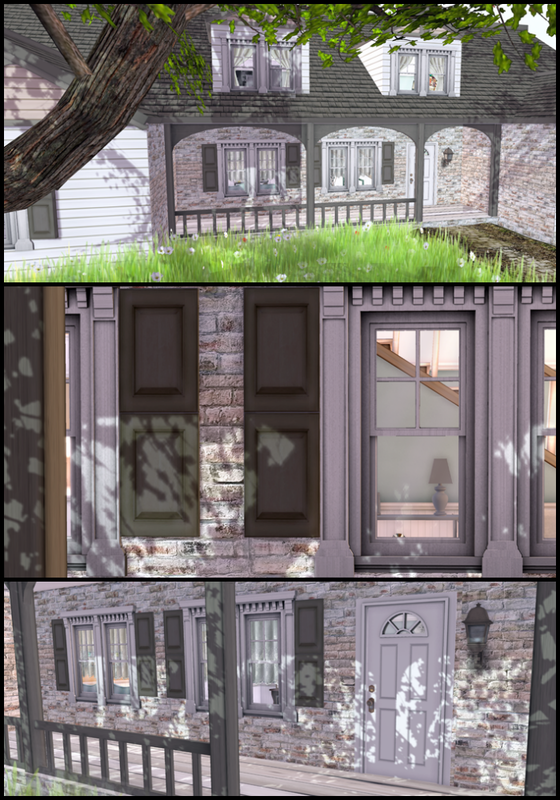 I love this house, it is conservative in prims as it uses sculpts and mesh and weighs in at only 151 prims which.. is amazing to me for all the house you get. The houses features a Living Room, Dining Room, Kitchen, Laundry Area, Full Attic, and a Secret room for kids as well as all windows open/close on touch. Lights turn on/off by switches. Ceiling fans all work by touch too. I think this makes an excellent home for anyone, there is a lot of room to grow too if you have an SL family. The house is also Mod/Copy if you need to change anything, though I wouldn’t. I love the palette of wall colors, they went with just about everything that I had. This home is very impressive and pleasing to the eye of anyone that I’ve shown. 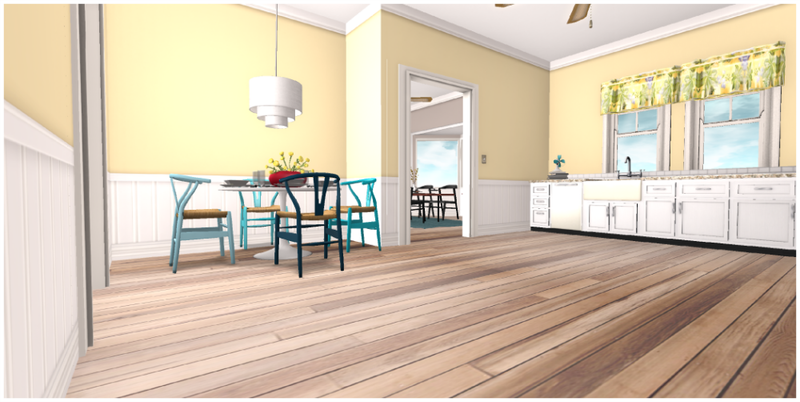 I used many different SL furniture designers to decorate. 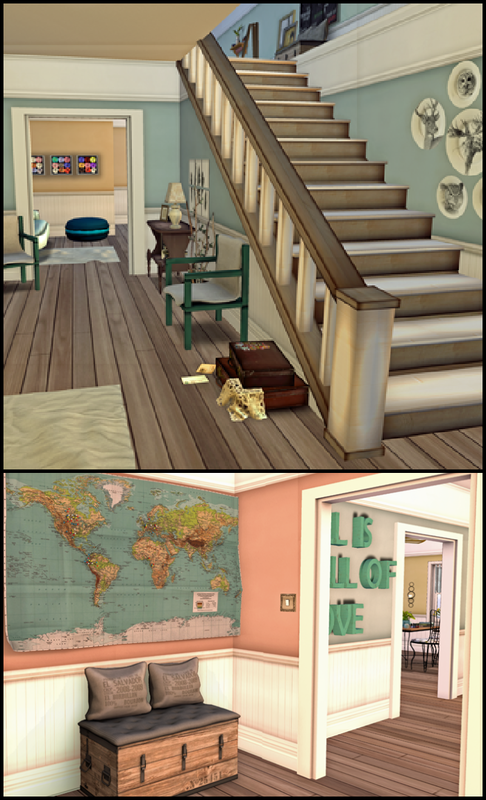 A few of my favorite places that I have shown in decoration of the house include Ionic, Mudhoney, The Loft, Lisp, What Next, Tiny Spaces, Floor Plan, Apple Fall, Cheeky Pea, Pilot, MMG, ITutu, and North West (but North West is closed) and probably more that I’m not thinking about right now.. but those are only “some” of my favorites. If you see something in this post though and want to know what it is, I would be happy to tell you.